Sometimes making a change in your life can spark a whole new outlook. For some people it may be a new outfit, for others it may be a change of scenery, and for you it might be a new car. The only problem is you're stuck with the same ride you've been cruising in for 4 years now. You want to be driving something new but need to ditch the old ride and come away with some cash for the car you've been eyeing. 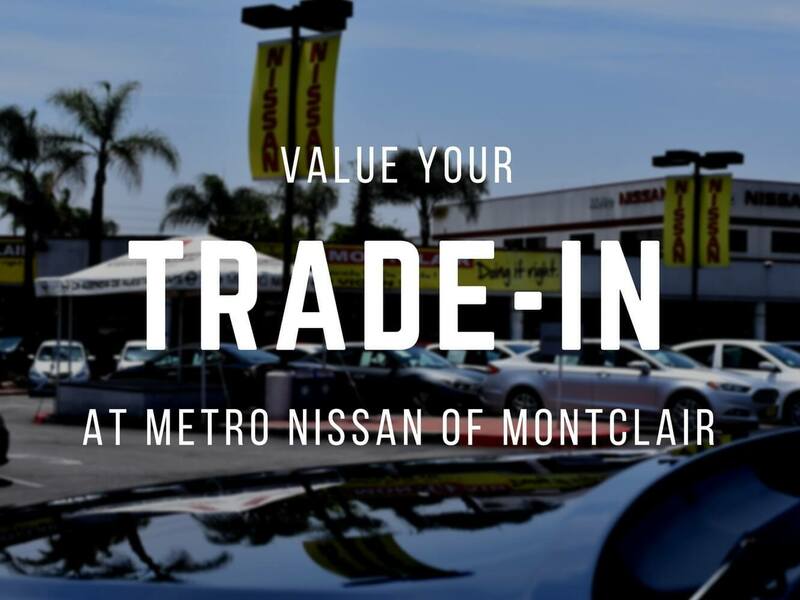 At Metro Nissan of Montclair, we make it easy to appraise your ride to see how much you can get for it, and the best part is you can do it all online at MetroNissanMontclair.com. Simply visit our website and under the Financing tab, select Value your trade. From there you just enter in some information about your current vehicle, eg. make, model, year, style, color, mileage, etc. After entering your contact info, you'll be shown your vehicle's trade in value. You'll also be able to see value estimates for different conditions that the car may be in. It's so easy to see just how much you can expect to fetch for your vehicle at Metro Nissan of Montclair.